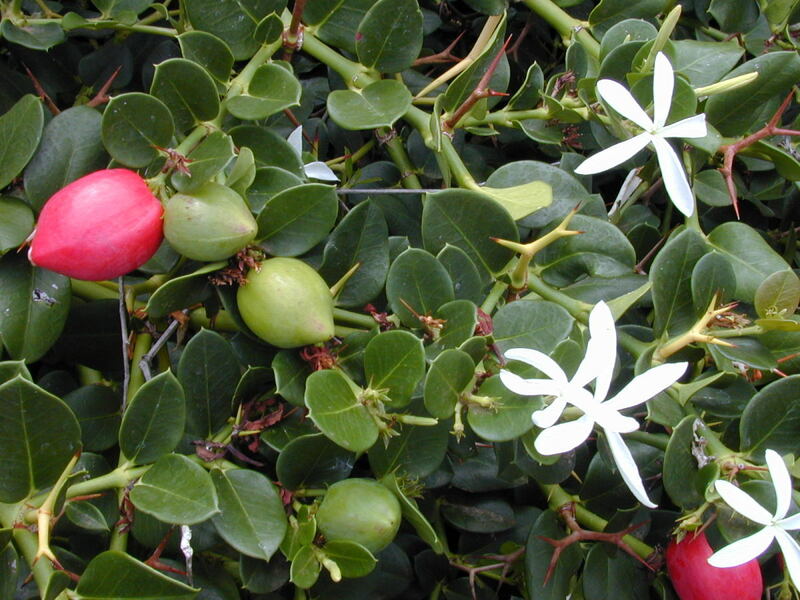 The Natal Plum is a shrub native to the Natal area in South Africa, and Mozambique. In South Africa, it is called Large Num Num, in Zulu, it is called Amatungulu while in Afrikaans, it is called Noem Noem. The entire plant except for its red colored fruit is poisonous.Only the fruit of this plant is edible and though it is called a plum it hardly tastes like one. The fruit tastes a less sweet version of cranberries with the texture of a strawberry or a somewhat unripe cherry. No wonder the plant is poisonous, being related to Oleander, which is counted as among the 3 most deadly shrubs. Natal plum belongs to the family Apocynaceae, the family to which Oleander too belongs. 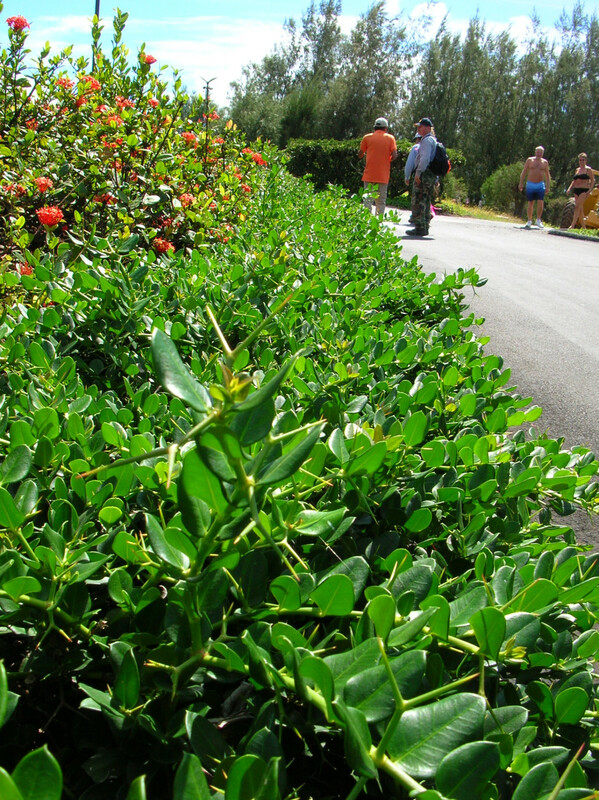 Natal Plum is a common coastal bush as it can tolerate the salty winds well.Though it requires a warm, moist, tropical to subtropical climate it can grow in a variety of light and temperature conditions, from full sun to a fairly heavy shade. However, it does not like freezing cold. The shrub is popularly grown as a landscape plant and a security hedge due to its dense foliage and 2 pronged stout spines that makes it impossible for animals and people to get past it. Because of its spines it is not planted close to pedestrian traffic. The plant can be seen growing on sand dunes or the edges of coastal forests. It is seen growing commonly in Southern Florida and is also cultivated in Southern California. 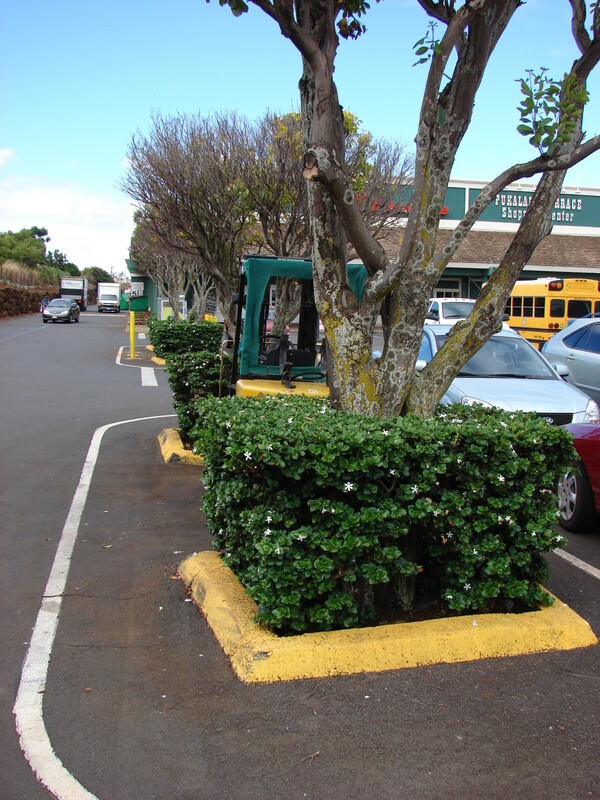 The Natal Plum grows in mounds form 2 to 7 feet and as much across. It tolerates drought and is a low maintenance shrub, though it grows fast and is evergreen. It is almost pest free. The plant has shiny, thick and leathery dark green leaves. It bears star shaped flowers the emit a sweet jasmine like scent which deepens at night. The flowers blooms for several months at a stretch though the plant fruits in summer and autumn or in autumn and winter in warmer climates. In coastal areas and moderate climates it can be seen fruiting the year round. 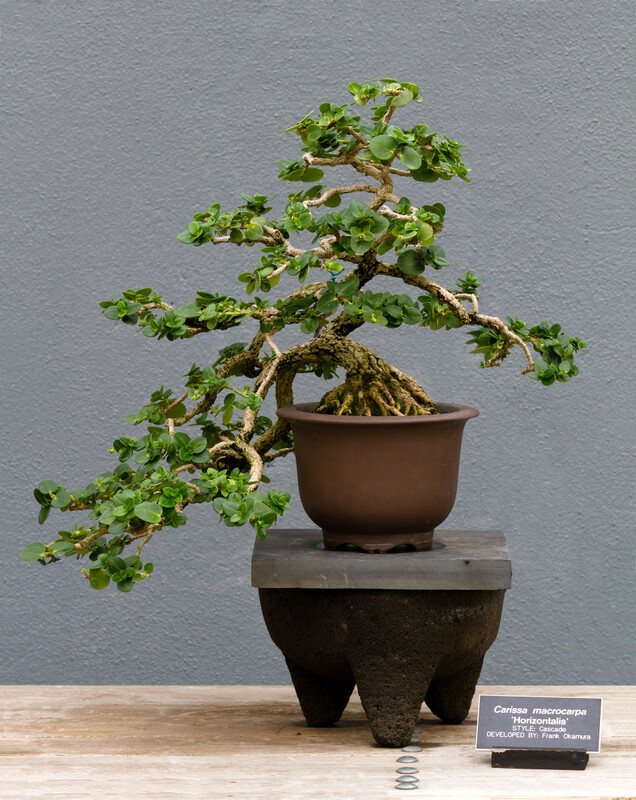 The plant moulds itself very well to bending and for this reason can be grown as a very attractive Bonsai plant. The fruit is green when unripe and turns a bright red when ripe. 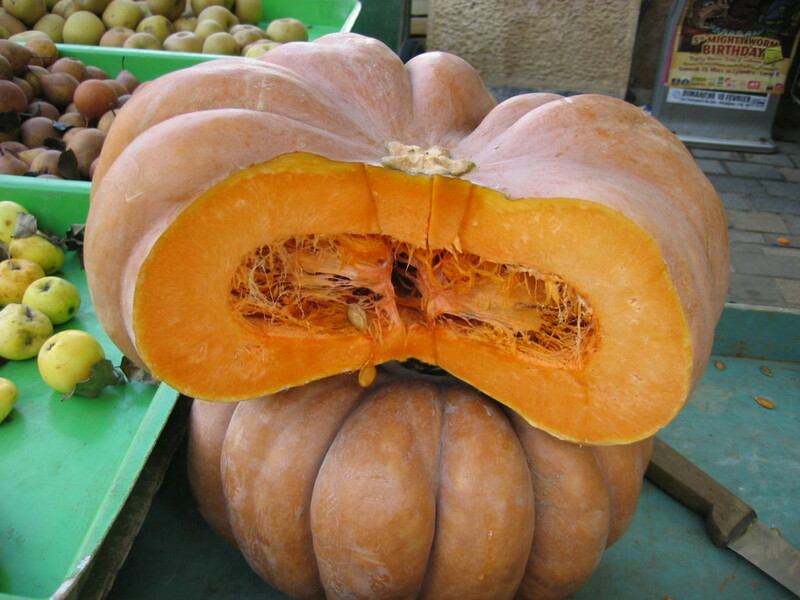 It also contains latex though the ripe fruit has a much lower content than the unripe fruit. The whole fruit including the seeds can be eaten safely. When boiled however, the latex leaves the fruit and sticks to the sides of the pot. This can be removed easily by rubbing it with oil. Of course, the fruit should not be boiled or stewed in an aluminium pot. Apart from eating the fruit as it is, it can be made into jams, jellies, pies and sauces or it can be used in desserts, yogurt, ice cream etc. 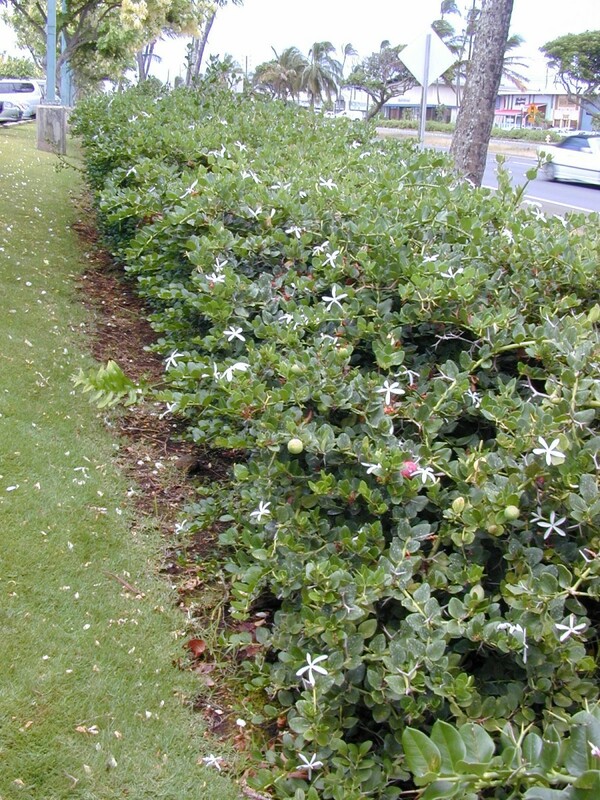 The Natal plum is a major component of commercial landscaping along sea walls, hotel and restaurant landscapes as also a hedge or barrier plant and as a ground or slope cover. 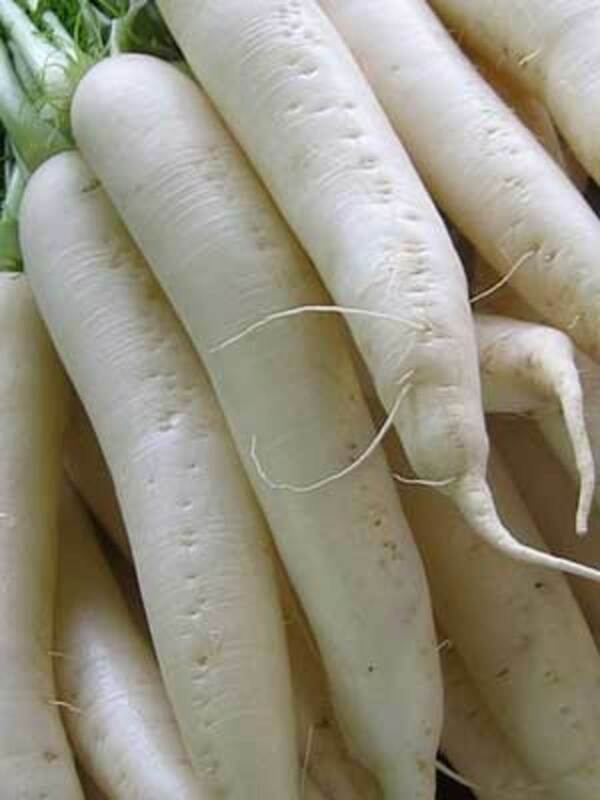 Apart from this, an interesting feature of this plant is its nutritional and health benefits. This is not evident at all when one looks at the plant from a landscaping point of view or a security point of view. It is however a traditional African food plant with many nutrients. Especially Vitamin C; in fact it has more Vitamin C than in an orange. 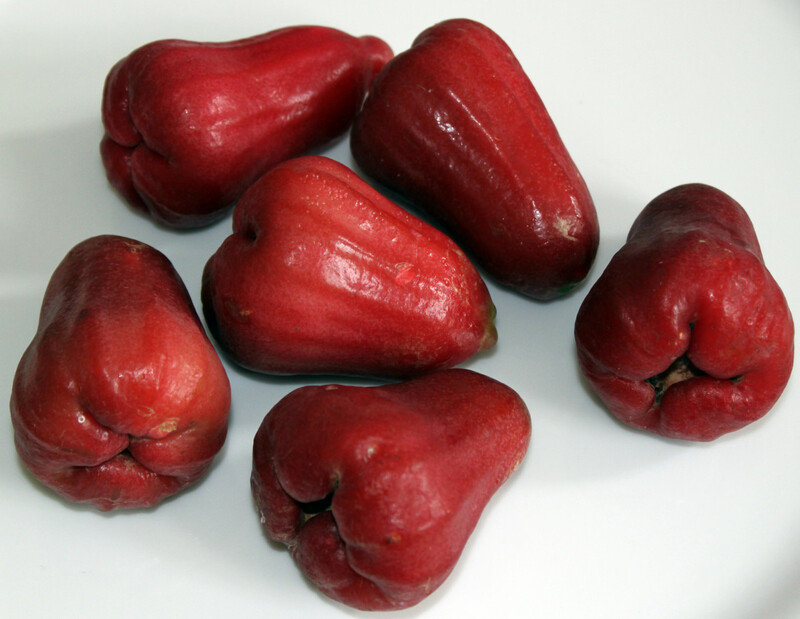 100 grams of the natal Plum provides 63% of the daily requirement of this vitamin. Vitamin C is an antioxidant vitamin that boosts the immunity, delays aging, heals wounds, improves teeth and gum health and has a host of other health benefits as well. 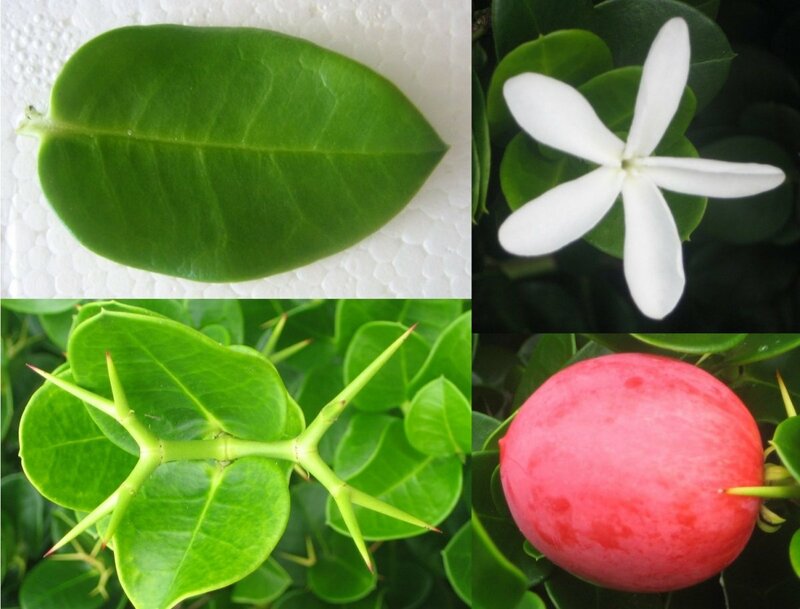 Natal Plum also has a good amounts of Iron and copper that not only prevents anemia and builds hemoglobin but also prevents weakness and fatigue, depression and dizziness. 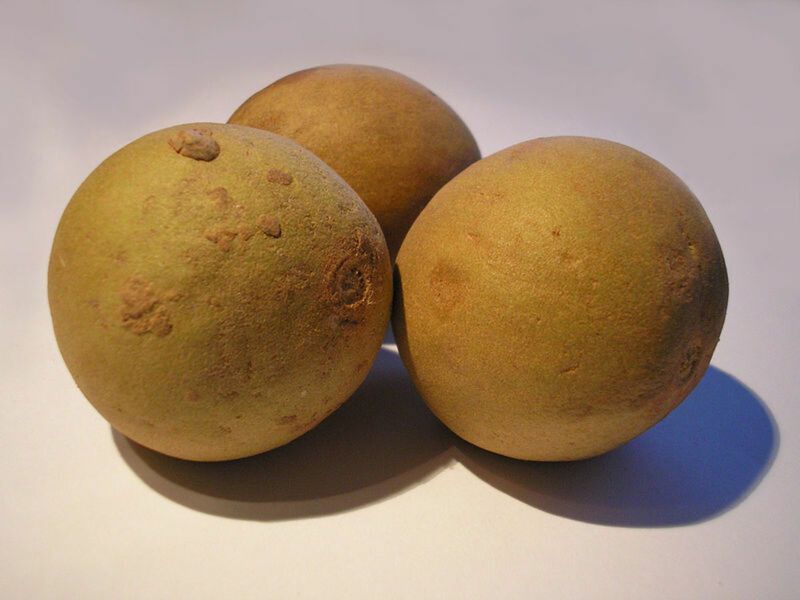 The fruit also contains good amounts of potassium which regulate blood pressure and improves muscle function. 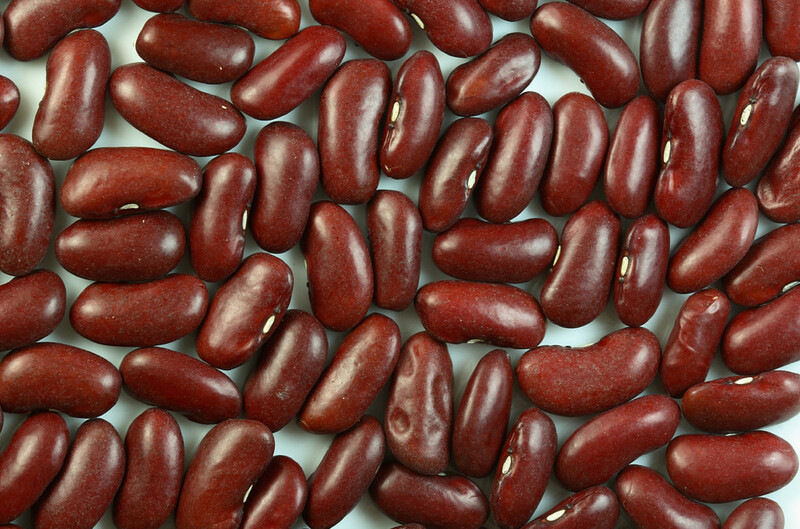 It also contains the heart friendly magnesium and is low in calories. Thus the Natal Plum is a very useful plant and the fruits can even be pickled. In the video below, pickle is made from the Karonda fruit, the Indian counterpart of the Natal Plum. To make Natal Plum pickle just substitute Natal Plum for the Karonda fruit and you can make an Indianized version of the Natal Plum pickle. I grow the Natal Plum at Mackay central Queensland Always needs pruning as grows too fast. The red fruit I love to eat out of hand. Will grow another tree so to have fruit for preserves. @Peggy-yes, the bonsai does look lovely. Appreciate the visit and shares. @Rochelle-nature is amazing, isn't it? Thanks for visiting. There used to be a lot of this growing in the yard of the apartment where we lived in Southern California. I even knew the name of it, but had no idea that the fruits were edible. Wow...those thorns are certainly foreboding in appearance. I am not familiar with the natal plum but from all descriptions it sounds like it would be good...especially as a jam. Will have to see if I can find any to purchase. It certainly makes a beautiful bonsai plant! Up, useful, interesting and will share and pin. GTW, the fruit is safe to eat. We use it to make pickles and also eat it raw. Thanks for stopping by. It is always interesting to me when a plant is poisonous, but the fruit can be eaten. Makes me a little nervous too. Another interesting hub. @ Patricia - Thanks so much for your visit and I hope you will find the earlier postings as interesting. I wish you a very happy weekend too. @ Aurelio - I think it should be able to grow in the warmer areas of California. Thanks for stopping by. 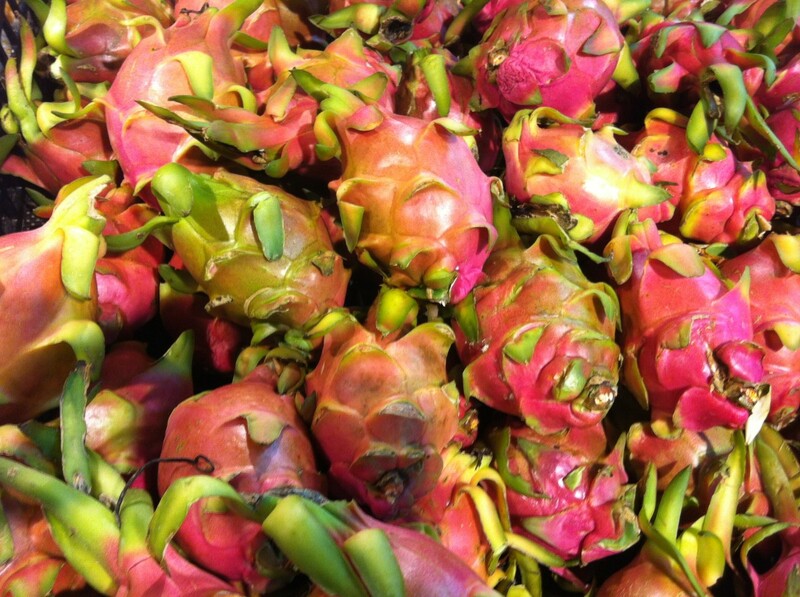 What a beautiful fruit but I've never seen nor tasted these. It seems like something that might grow here in Southern California so I'll be on the lookout for them in stores. Voting this Up and Interesting. I have gotten behind in my readings. You have a bunch here that I need to read. I am not familiar with this plant at all. I love those blossoms. I must research now and see if any are in our nurseries. Thanks for reading and sharing, beingwell. I shared this one. I haven't tried natal plum. I hope to find some in my side of the world. Thanks for the generous info. @ Eddy - glad you liked reading about this unusual plant. Thanks. @ Ruchira - it always good to know that new info has been well received. Thanks. wow, Rajan you always amaze me with your knowledge on such wonderful natural species. I never knew about it until I read you hub. Thanks for sharing !! Thanks rajan for an enlightening hub. 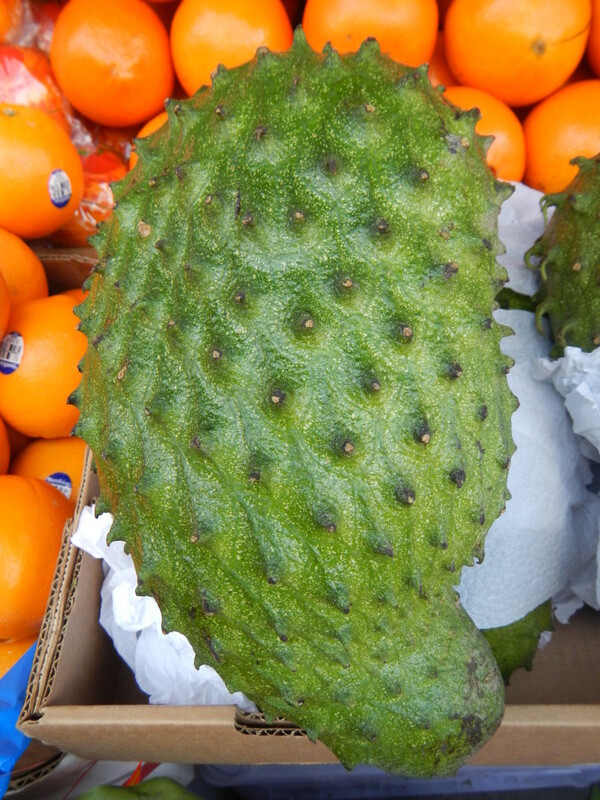 I had no clue about this fruit until now...will look out for it. Never heard of this one rajan therefore I learnt so much . @ Sueswan - the entire fruit is safe, lol! @ Carol - thanks for reading this. @ Deergha - always a pleasure to share new info. @ Nargaret - I'm sure you'll be able to locate this plant in Florida. Thanks. @ Bill - You're welcome my friend. Nature is so amazing. @ Vicki - Wow! This must have brought back some pleasant memories. Thanks for the input. My heart skipped a beat when I saw this one! Amatungulu is one of my very favourite fruits, and the jam is second to none! Brings back carefree days on the lovely beaches of Natal as a child. I did find them in Hawaii once, and promptly braved the thorns, picked some and made jam! Thanks for reminding me! Amazing! 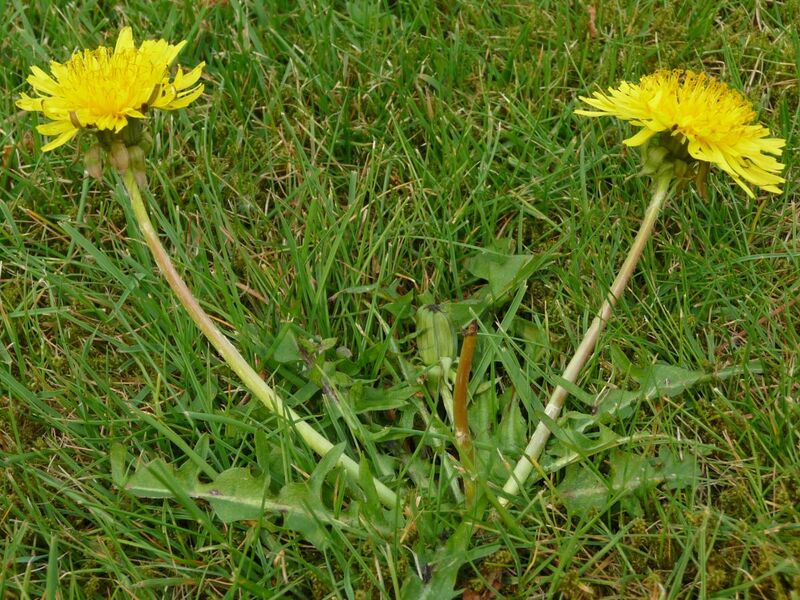 I had no idea this existed, and in the pictures they are growing everywhere. What an interesting world we live in. So many species that most of us never see. Thanks for the education my friend. I'm in Florida right now - I'll have to look around to see if I can find this rather beautiful plant. Voted up, interesing and sharing. Though i am not familiar with it but loved reading your hub here. Voted up and useful. Shared as well. I always admire your health related hubs. Keep it up. Thank you. another interesting hub. You will never run out of things to write about. Always enjoy learning. Voting up and sharing.